As the harsh reality of New Years resolution struggles and impending tax season befalls you, I urge you to focus your attention on images of spring: galavanting fawns, chirping birds, and flowers in bloom! Though for those of us stuck in the polar vortex, spring might not seem soon approaching, this is the perfect time to start planning your garden. When you picture a farm, you may envision rows upon rows of a single crop. Monocultures have a huge presence in our current food system, and it’s not without reason. Planting a single crop allows farmers to streamline processes, harvest quickly, and maximize the size of their plants. But the cost of this system is loss of biodiversity and poor soil health, among others. You may now crown yourself the master of your garden! You have the wonderful opportunity to create an ecosystem (no matter how humble a piece of land you may find yourself in possession of). Planting multiple species together, or companion planting, is a fun way to maximize your garden space, keep your soil healthy, and create habitat. It’s not about eliminating insects and “weeds” from your space, but rather using that wit of yours as well as some help from some companions to build a balanced garden. If you plant a cornucopia of X plant, you are going to attract a cornucopia of insects that feed on X. And if you don’t have any plants that attract a predator of the insect that eats plant X, your garden is going to the best buffet of its life. But if you plant a variety of plants with different predators, the playing field will be more even, therefore requiring less pest maintenance on your part. This is an example of companion planting. Companion planting can accomplish so much more than pest control, but if you wanted to read a novel, you wouldn’t be on the internet. So today we’re talking about pests. Though you may be the biggest salad lover you know, your lust of leaves is rivaled by, well, tons and tons of insects. I can only imagine what it must feel like to be an insect watching a gardener sow seeds or transplant plants into their garden. I think it might compare to how I feel when I see someone cutting up an array of cheeses. (So grate!) While you don’t want insects eating away at your plants, you also don’t want pesticides tainting them. So you are going to have to outsmart the pests. One trick of the trade is to plant a “decoy plant.” Organicgardening.com suggests planting spinach next to radish. Leafminers might be adorable baby insects, but they are also vicious predators who want to mine all of your leaves. But when they come to dine at your garden, they will be distracted by the radish leaves. Radishes with damaged leaves will still grow perfectly good roots, which is the part you’re after anyway. They will likely take a few chomps of the spinach as well, but the damage will be less than if they didn't have another plant to munch on. After a moment of silence for the self-sacrifice offered by our decoy plants, we move on to our guards. If you’ve ever lost a lover because of your insanely garlicky garlic breath, you might not be surprised to hear that garlic, and other strongly scented plants can ward off pests! Gayla Trail’s book “Grow Great Grub” explains that carrot fly larva dig tunnels through root vegetables, but they are repelled by the scent of rosemary, sage, and onions. Though your decoys and guards are good, they are only so good. You also need to form alliances. In the garden world, ladybugs are your best friends because they eat aphids, your worst enemy. Now, you can buy ladybugs and release them into your garden, but something I’ve learned through my many years of gardening is that ladybugs can fly. If they want to leave, they will. Just like you can’t kidnap people and make them hang out at your house and do your chores. You have to lure them in. There are many plants that will attract ladybugs and other “beneficial insects.” Do not feel limited in what you can plant! I drew inspiration from organicgardening.com’s list. Fennel is one of the plants listed here, which I would choose because it also has delicious seeds and leaves. Companion planting is an exciting concept that extends far beyond pest management. As you start to plan your spring garden, I encourage you to do your research and find out the amazing potential. Rather than banishing all insects from your garden, experiment with attracting beneficial insects to your garden. Next thing you know, National Geographic will ask to do a photo shoot in your yard. Or you’ll have some undamaged spinach and make friends with some butterflies. There is so much to know about gardening. . . . and doing it consciously, with a lot of thought for what’s happening and what one’s part is in the whole picture. And with the awful weather in the west, that may affect produce for our tables from the store, now is a great time for a home garden. Companion planting is smart planning . . . like a skirmish with life that you want to win! Be aware too of lasagna gardening . . . how to build gardening beds that you don’t have to create 1st by digging . . . back straining work. As a Master Gardener in New York State, we follow so much of the guidelines with Cornell Cooperative Extension. If you’d like a bunch of information adding depth to a great topic above, go to: http://www.gardening.cornell.edu/ . It’s a great site. Personally, I think being called a “Master Gardener” is an oxymoron, ’cause I may know where to look,. but not always how to do! Thanks! Hope it’s helpful for container gardening . My yard has little sun due to abundance of trees. I am going to try indoor gardening in special portable garden vessels. Fingers crossed! Thanks again! What a nice idea to post some great articles along with your skin care tips. that is a very thoughtful thing to do and much appreciated! Thanks! planting my first veggie garden now… this was something i’d never thought of. will now get to work finding companion plants! thank you. Thanks for the great article – wonderful links and sites! can get, so we need to plant things to attract and help them too! you and your family, but also kill the bees. Annemarie, thanks for writing this article. Following this would save gardeners from putting pesticides on their vegetables. This methods are tried and true. My Dad (Master Gardener for the NY Dept. 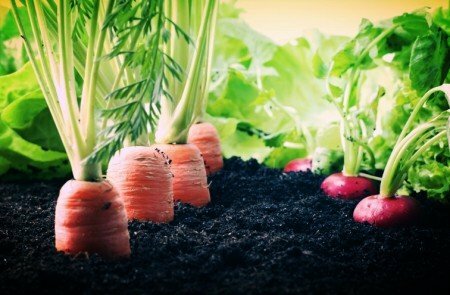 of Agriculture) planted his gardens this way. Did you also know that you can plant chives next to rose bushes. Japanese Beetles do not like chives! Even though I can’t have a garden in my city apartment, I will share this with all my gardening friends. Thanks again. I love the tip for planting chives next to roses! Sounds like a win win situation to me!